Hawai‘i County Mayor Harry Kim announced two new additions to his administration on Sept. 14, 2018. Sharon L. Hirota is Hawai‘i County’s new administrator of the Office of Housing and Community Development, effective Oct. 1, 2018. Hirota, a graduate of Kamehameha Schools who attended the University of Hawai‘i at Hilo, joined the Office of Housing and Community Development in September 2002. For 16 years, she managed the Existing Housing Division, which is responsible for the management of federal, state, county and private grants that primarily benefit low- and moderate-income persons. Hirota developed and implemented the County of Hawaii’s Financial Initiative Program, which connects community members to free financial counseling services. She has also represented the county on the local and State Continuum of Care Executive Committee, and facilitates the county’s Coordinated Entry System to address homelessness. Duane Hosaka will continue as assistant housing administrator. 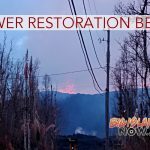 Barett Otani, a veteran public relations specialist, joined the Office of the Mayor as an executive assistant on Aug. 1, 2018, as the administration tackled an array of challenges, including recovery efforts amid the Lower East Rift Zone volcanic eruption. 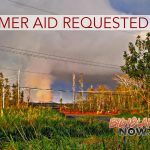 Otani, who had served as the public relations specialist for the Department of Public Works since 2015, was asked by Mayor Kim to assist in projects such as economic development initiatives, building permit streamlining and affordable housing. Mayor Kim noted that Otani has worked at Waiākea Elementary School as the school activities coordinator and also served as substitute teacher. Otani was also the owner of a food distribution business for over 20 years, the producer of KTA’s Living in Paradise TV program for the past 19 years, and a musician, among many other roles.